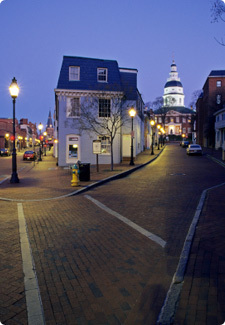 The so-called Old Line State provides suburban dwellings for many people who commute to the nation's capital. Washington D.C. has become one of the fastest growing job markets in the nation, and that appears to be swelling the populace of Maryland to the point that it now ranks sixth in population density in the U.S. While this doesn't translate directly into demographics for home insurance buying, nonetheless this area of the country does have an attractive profile to insurers. And that means shoppers in the region enjoy some of the best prices on policies. Cost of living expenses for up to a year of temporary lodgings in the event that a home can't be occupied during repairs. Flooding damage typically calls for additional coverage that costs a nominal amount, depending on the location of the home. Most insurers in Maryland sell flood insurance as an extra called a rider or endorsement. Often these offerings are subsidized by the Federal Emergency Management Administration, which in some cases sells coverage directly to customers referred by private insurers. 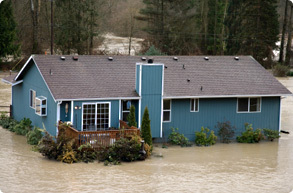 Whether you need flood insurance depends entirely on your location. If you live in a part of the state that's prone to flooding, then buying additional coverage makes the most sense. Of course, pricing for this type of protection depends on the likelihood that such an unfortunate event will occur. That's the nature of all insurance pricing: the greater the perceived risk, the higher the price, and vice versa. Specific risks really vary from one locale to the next because the land itself varies so much. The state spans about 12,407 square miles that together have earned the nickname "America in Miniature" because the topography is so diverse. The only type of geography this state doesn't include is naturally occurring lakes, although there are numerous ponds and man-made lakes. The state gets an average of 35 to 45 inches of rainfall a year, which is typical for the Atlantic seaboard. Thunderstorms occur 30 to 40 days annually, and there are about six tornadoes in any given year. The coastal lands are not immune to hurricanes, although fortunately they are usually diluted in strength, often the aftermath of storms that originated elsewhere. The state has much more variation in snowfall, with coastal areas getting about nine inches annually and the western mountains topping 100 inches a year. All in all, the weather-related risks facing homeowners in this state don't exceed what other parts of the country experience. A much more decisive factor in how Maryland residents fare in the home insurance market: The robust credit histories that typify stable employment by the government or part of its supply chain. The same factors that make homes more attractive to mortgage lender also appeal to insurers, and that puts the power of choice in your hands.